Thank you so much Lea and Charlie’s Dogilicious Bakery for your kindness and ongoing support. Your love and support mean the world to us. The Northants Dog Training Club are most definitely one of our most loyal supporters. They’ve been helping us for 12 years now! All of the money we raise goes directly to our charity, but we can only carry on the work we do with the help of people’s generosity. We are always looking for new ways to raise money as many of the dogs that come to us are strays, many of whom often require veterinary attention! You can even make donations direct to our bank account through Facebook… Or if you’d prefer, you can set up a Fundraising event so that your friends and family can donate too! Another option is to get people to sponsor you for a challenge or event. BT MyDonate is commission free and really simple to set up! Did you know that you can support us simply by shopping online? Every time you shop online via easyfundraising at one of the 3,300 retailers including John Lewis, Aviva, Sainsbury’s and Booking.com, a donation will be made to us and it won’t cost you a penny! NB. We are sorry but we are unable to accept electrical items. …But we have never been known to back away from a challenge, and our supporters are always up to something to help; from online auctions and events to raise awareness… to personal sponsored challenges, such as parachute jumps, abseiling and Iron Runs! Throughout the year we also organise and run many ‘fun’draising events including some fantastic dog shows! All proceeds from these events are used to take the very best care of our beautiful dogs whilst they patiently wait for the perfect forever home. We would love to see you there, so bookmark our dates for your diary page, come and join in, and have a ‘fun’tastic day with us whilst helping us raise some money! Every single day there are always more dogs that need rescuing and we simply can’t do it without your help… So, if you enjoy a challenge and want to help us then please don’t hesitate to contact us. Wellidog have been extremely lucky to attract some fantastic volunteers and recently Sarah Lott came to give us a hand! This year is our Silver Anniversary and Sarah kindly volunteered to take some pictures of some of our beautiful dogs who have been successfully rehomed over this time. She has also kindly volunteered to keep taking pictures for us, so that we are able to show you their beeeaauuutiful faces ❤ You can find all our dogs looking for homes on our website and on Facebook. Thank you from all of us at Wellidog. If you are looking for help with your dog(s) and need some helpful behavioural advice, opportunities to socialise your dog, guidance, or simply want to understand your dog more, we can’t recommend Canine Coaching enough for a friendly, relaxed and professional approach to dog training. If you want to know more about Canine Coaching and how they could help you, or if you just want to know more about them, pop along to their website or follow them on Facebook. Thinking About Volunteering at Wellidog? So… You’re thinking about volunteering? Do you have some free time, even if it’s only a couple of hours? Are you prepared to donate your time for free? Wellidogs would not exist without the dedication and kindness of its supporters and regular volunteers, and volunteering can be a very rewarding experience as well as a way to meet new friends. At Wellidog we’re more like a big family who pull together to make a difference to some very deserving furbabies who have found themselves here through no fault of their own. Ad-hoc help as/when you are able to is always welcome. Give us a shout and we can discuss ways to help without committing anything ongoing. So, if you’re still thinking about volunteering we look forward to hearing from you soon. We are extremely lucky to have Barclaycard join us on occasion to do anything from dog walking to weeding, or even decorating! They are and have always been extremely generous and no job is too small… or too big! On Target Indoor Air Rifle Range in Brackmills, Northampton are regular supporters of us here at Wellidog. You can learn more about them on their Website, or follow them on Facebook. Inspiration for Tyco’s Treats came after a three-legged Lurcher called Tyco came to live with Neil and Tracy from Wood Green in July 2010. 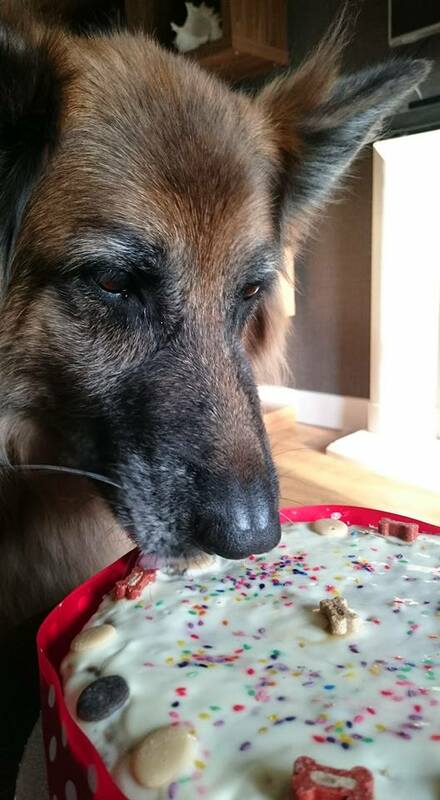 Tyco loved treats but most of them upset his tummy, so they set about making their own using only natural ingredients and leaving out all the dodgy preservatives and other additives. The treats were a success with Tyco and so Tyco’s Treats was born! Since then they have constantly supported Wellidog with donations for raffle prizes and auctions to help us raise funds, and all of our dog shows.